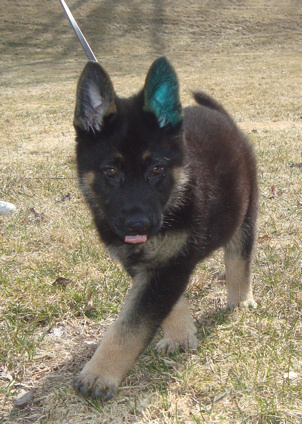 Ulric (Ricky) came to CT at 8 weeks of age. When he came out of his crate at the airport, he was happy, friendly and very curious. His temperament has remained the same! He is extremely intelligent and very eager to please. 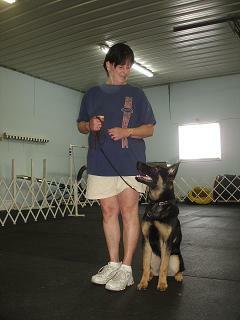 At 4 months of age, Ricky attended his first match for fun and socialization. He took Best of Breed Puppy and went on to take a Group 4. He was also entered in Rally Novice and Qualified!!! 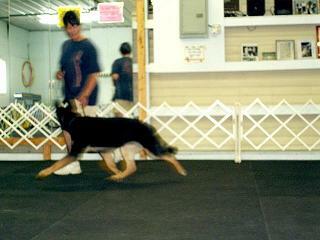 and was Temperament Certified at the German Shepherd Dog National. Watch for Ricky in 2010!